Dedicated to the unusual, the unknown and not-quite-right. This venue prides itself on ‘pataphysics: an area of science that examines imaginary phenomena. This venue is a sight to behold with each room more obscure than the previous. 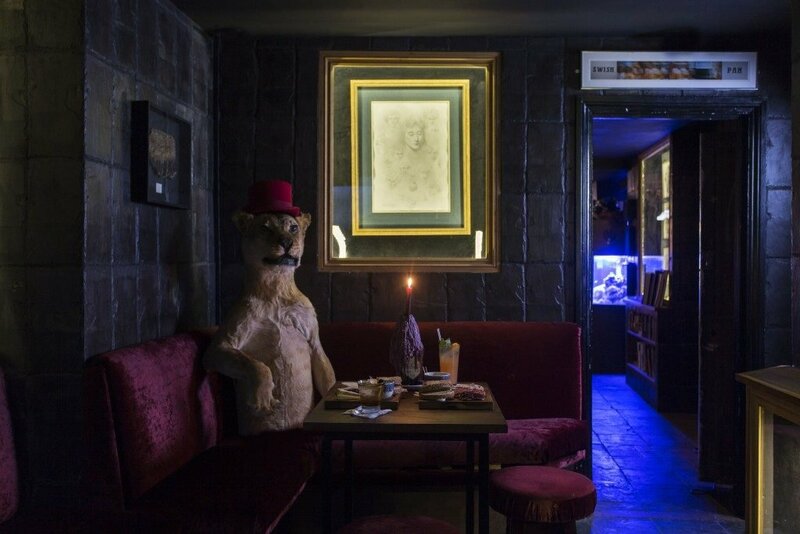 Sit with skeletons, have a drink with a taxidermy lion or be eyed at by a sea monster. The choice is yours.